"La musica de Harry Fraud" is a phrase every hip hop fan is bound to have heard at some point this year. 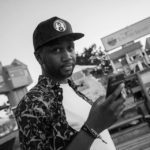 The New York producer has built quite a name for himself over the past couple years, getting his foot in the door most notably on his productions featuring French Montana's early mixtapes and through some of his biggest street hits such as "Lie to me", "Ya Mean", "New York Minute" and "Shot Caller". The two met through a mutual friend and Fraud invited French to his studio later that week and the rest is history. Now after ample success and established clout with hip hops brightest young stars, Fraud has released his latest mixtape titled Adrift. 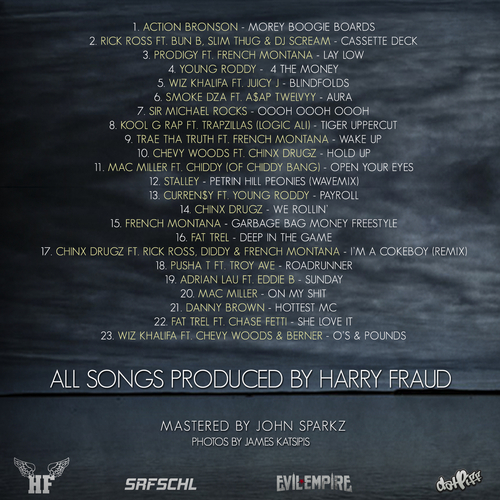 Against Fraud's instrumentals, the tape features French Montanta, A$AP Twelvy, Wiz Khalifa, Mac Miller, Pusha T and more.